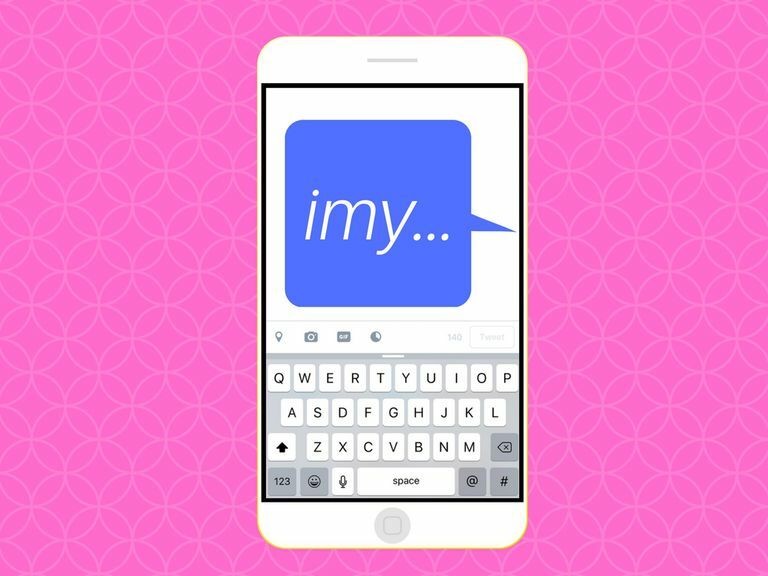 If someone texts or posts "IMY," you're going to want to know exactly how to respond to them since this acronym is full of meaning. It's as simple as that. If this acronym was sent to you, somebody thinks you're special and wants you in his or her life! IMY is a phrase that is often said in real life as a standalone sentence, so don't be surprised if you see it posted online (directed to you or someone else) or in a text message with no other words or phrases accompanying it. IMYSFM is one variation that includes the F-word, so keep that in mind if you think you might want to use it yourself, but don't wish to offend anybody. You may want to stick to IMYSM, IMYSB or IMYMTA to avoid any negative misinterpretations from the recipient of your message or iMessage. Remember that not everyone will know how to interpret these more elaborate acronym variations. If you just want to keep things simple with as few letters to interpret in the acronym as possible, sticking with IMY is always a good idea. Anytime a person tells another person that they miss them, there's often hope that they feel the same. Those who do feel the same might respond with, "I miss you too." To say this in text/chat speak, you can simply use the acronym IMYT. The T represents the word "too" after "I miss you." The above example shows how simple these two acronyms really are when used in a typical text or chat conversation. They really need no explanation. IMY is similar to the more popular acronym ILY, which stands for I Love You. The variations for ILY are also similar to the variations for IMY since it's so easy to switch out the word "miss" for "love." Acronyms like ILYSM (I Love You So Much), ILYSFM (I Love You So F***ing Much) and ILYMTA (I Love You More Than Anything) are almost identical to the IMY variations outlined above. Of course, the use of the word "miss" or "love" will completely change the meaning of the acronym. Truth be told, sometimes it's just better to type "I miss you" out in plain English. Since the phrase itself is such a serious one, it's probably pretty important to you to be taken seriously when you say it, and acronyms have a way of making us appear non-serious or overly casual in our conversations. If you really want to mean it when you tell someone you miss them, consider this before you use the acronym. Chances are they'll appreciate those three words written in full much more.